Last night I attended the Fall 2011 District Sample Sale. 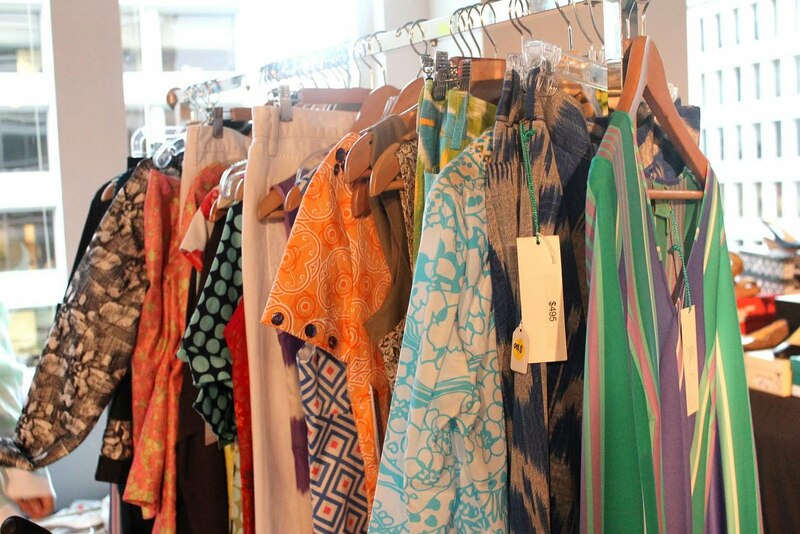 This luxury sample sale features over 20 clothing and shoe boutiques offering their goods at outstanding prices. 1. Know where you’re going. Plan out parking and driving in advance so that you don't lose any time. There is ample parking for the District Sample Sale in the parking garage for only $5. It's really convenient. 2. Dress appropriately. Everyone was dressed to impress at the District Sample Sale. No one was wearing yoga pants or uber casual clothing. I would recommend wearing something form fitting so that you can try on clothing on top of what you are wearing. Another option is to wear a camisole or tank under your top. There were a few pop up dressing rooms, but these are very limited and most women chose to try on clothing in the open on top of their clothes. 3. Make a plan. If a map is available before the sale, study it carefully and visit the sections of the sale that interest you the most. If you don’t have a map, quickly scan the sale area and visit your favorite boutiques or departments first. It’s perfectly ok to go from floor to floor or across the room. Don’t worry about looking at the shoes if you want to find a dress. 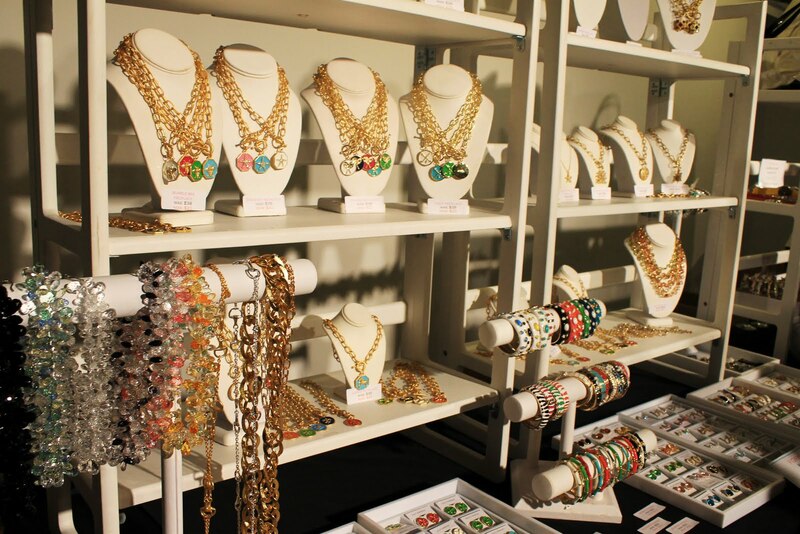 Assess your wardrobe before the sample sale and decide what items are at the top of your list. Sometimes it is difficult to find a specific item, but if you know more or less what you would like to find, chances are that your targeted search will pay off for you. 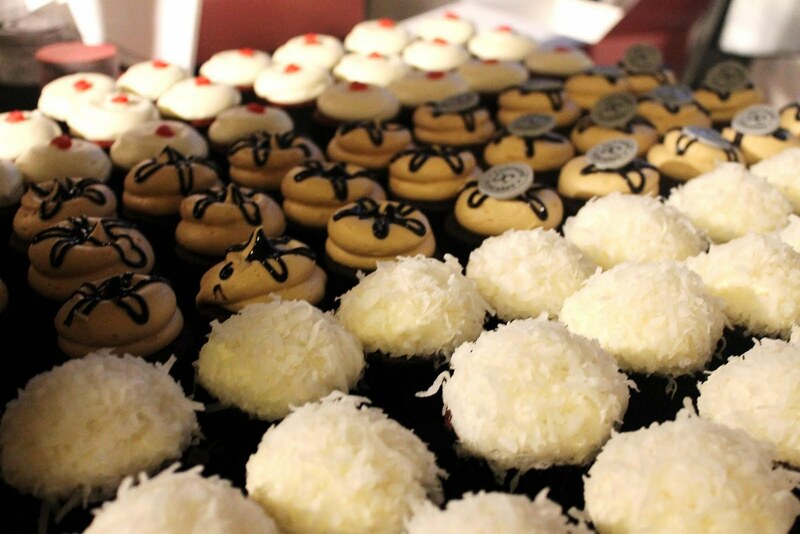 Whatever you do, don’t miss the Georgetown Cupcakes at the District Sample Sale! My primary objective was to find some Fornash jewelry to complete some sets I have but I was also on the lookout for Lilly. There were Lilly Pulitzer dresses, skirts, tunics, and tons of shoes, but they were either things that I had or they were not my size. I did end up finding a silk J. McLaughlin halter for only $25! 4. Pay in cash. Surprisingly, cash is much quicker than credit cards. Please bring your identification for credit card and check purchases. Depending on the sample sale, cash may be the only method of payment accepted. Fornash was my first stop of the evening. I couldn't resist the elephant bangle! 5. Buy on impulse. Sample sales are not the time to consider a purchase. That pair of Tory Burch shoes is going to be gone the next time you go back to find it. It's every woman for herself at sample sales. If you want something go for it and hold on to it until you pay! Everyone was very well behaved at the District Sample Sale, but I've seen other sample sales where women grab things off of rolling racks and practically attack each other for items. Gorgeous Fornash tunics ~ 75% off! 6. Consider your purchase. No, this is not a contradiction to number 5. Make sure that you are actually going to wear what you are buying and that it fits your body, your lifestyle, and complements your wardrobe. Sometimes it might seem like an incredible bargain, but a dress new with tags in your closet is no bargain. What didn't make it home with me last night? The faux fur Milly vest was so chic, but I just didn't think the price tag would justify the number of times I would wear it. 7. Shop early. You know the old saying, the early bird gets the worm? Well this is certainly true with sample sales. 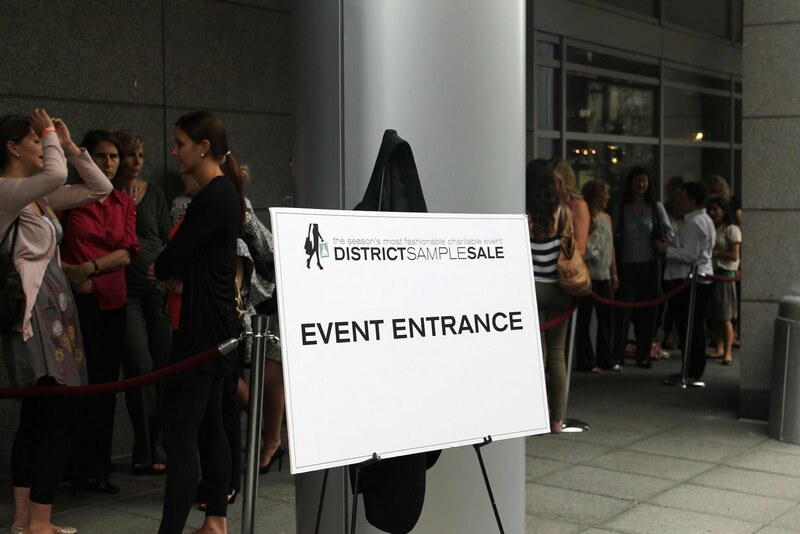 In the case of the District Sample Sale, VIP tickets allow attendees to enter the sale one hour before the general public. If you’ve got your eye on a particular item, this might be the way to go. At the Lilly Pulitzer warehouse sale, the samples are the first things to go…usually to the first hundred people in line. 8.Have fun! Remember to enjoy yourself and the shopping experience. Attendees at the District Sample Sale enjoyed cocktails and delicious food. 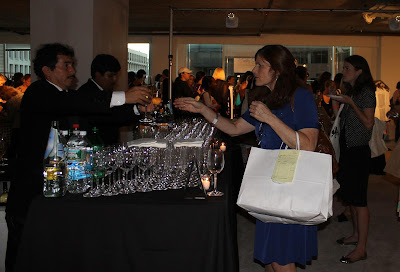 Tables, stools, and little couches were comfort zones in the middle of the sample sale floor. Part of the fun for me at a Lilly Pulitzer warehouse sale is going to dinner with friends after the sale. Shopping is a fun social experience. 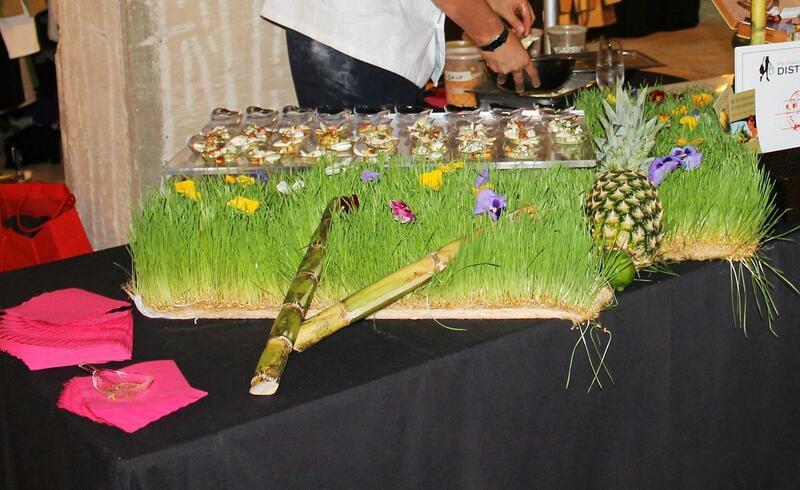 Cuba Libre's ceviche is out of this world! 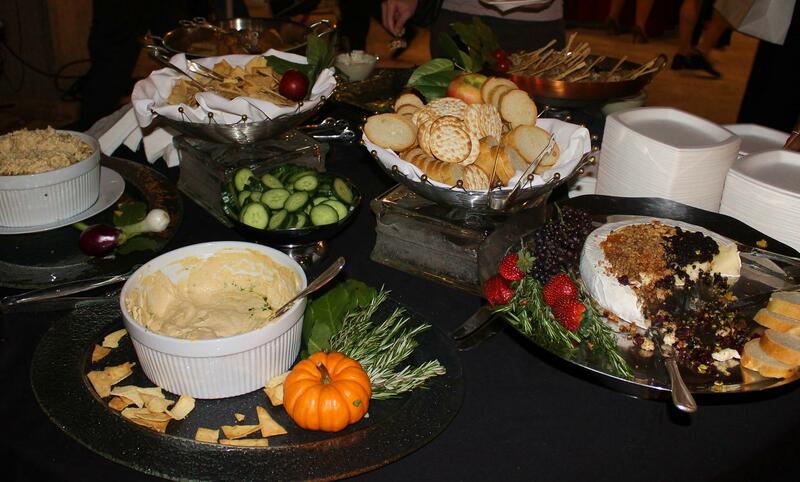 Lovely appetizers on tables are also passed by servers. DSS in a nutshell from Maryland Pink and Green: As we waited in line outside of the sale, the DSS peeps efficiently checked our names on an ipad and gave us our stylish wristbands. The line moved quickly as we entered the building about 10 minutes early. So exciting! 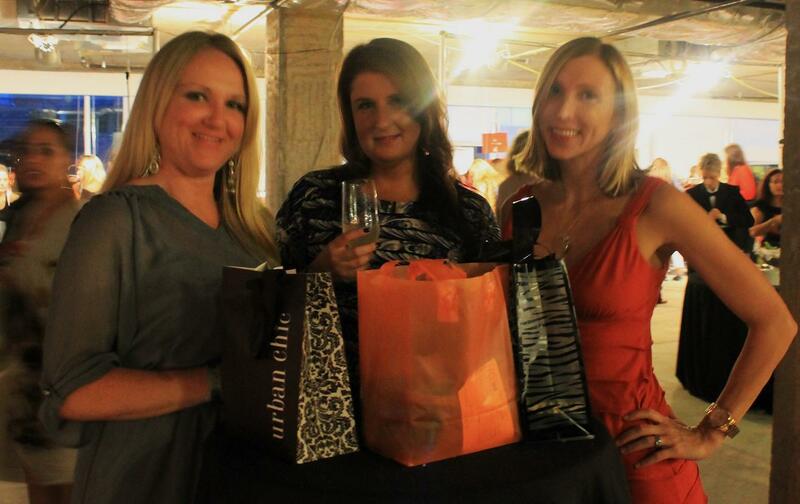 My first stop was to pick up a District Sample Sale swag bag to carry all of my goodies. Fornash was next on the list. The earrings were $15 and bracelets were about 50-70% off retail price. 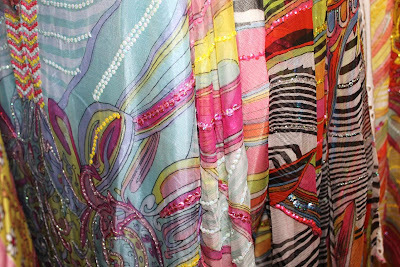 Sherman Pickey offered a fantastic selection of clothing for women and men. 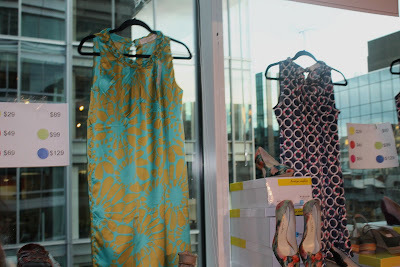 I spied a gorgeous embellished Jules Reid dress for $99 that was regularly over $500! A J. McLaughlin silk halter top managed to jump into my shopping bag. The price was $25 from an original retail price of $155. Other favorites included Sassanova’s fantastic selection of shoes and clothing, including a Kate Spade confetti top, and Simply Soles’ Tracy Negoshian dresses and Lilly Pulitzer shoes. The Dandelion Patch is another wonderful find at the District Sample Sale and the owner, Heidi Kallett, is so delightful. She even recognized my black lace Lilly Pulitzer Shayna. Like two peas in a pod. I stocked up on switchflops snaps for $3 a pop from the Dandelion Patch. You’ll want to attend the next District Sample Sale! What are your top sample sale or warehouse sale strategies? Ohhhhh that looks like an Amazing Sample Sale! Love the Elephant bangle! I have the zebra one! They can be overwhelming so thanks for the tip! I hope some good sample sales are coming to Richmond soon! Looked like a lovely event! Such wonderful tips! I wish I lived somewhere that had an event like this one. Looks like you had a wonderful time! For the spring sale, let's get a group together to shop! Wouldn't that be fun? It was nice to chat with you while waiting in line at the DSS. I scored an amazing pair of shoes at Sassanova, love that store.